I do not know all the current facts on this matter, but thank you Peter for bringing this up. My quick check suggests that indeed this is a serious matter. All policymakers, starting with the EPA, should take this issue seriously.
" In the case of CCD and neonicotinoids, Type I error is thinking the pesticides are killing the bees when they aren’t, and Type II error is thinking they aren’t when they are." "The cost of Type I error is suffering further damage to bee populations, while the cost of Type II is the impact on growers of pesticide restrictions that might later be regarded as excessive. " This is semantically confusing. 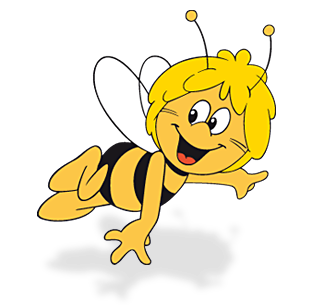 If the type 1 error is mistakenly thinking the pesticides are the cause, when that's not the case, shouldn't the "cost" of the error be the damage to pesticide makers and users, not the damage to bees? The EPA has not been scientifically wise: Scientific wisdom would call for controlled experiments before generally exposing all the bees, and all of us, to novel pesticides. But this is too expensive and tedious for American agribusiness. So instead we all get to be the test subjects in a global experiment, and Europeans get to be the controls. I am uncertain the EPA genuinely cares for science anymore, and entertain the possibility that all its decisions are now based on the weight of political pressure applied to the various sides of an issue. Also, I believe the "Monsanto Protection Act" will prevent Monsanto at least from being sued in the event of widespread environmental and human damage. They have no incentive to be careful. I, personally, have not seen a honeybee yet this spring, but that is just one anecdote. Have seen a few bumblebees. JCH: Ay, you caught me in a sort of blogging dyslexia. I had it exactly backwards. Thanks for spotting it. I'll edit in the change.